Overall my first full camping weekend was a success. We could not have picked a better weekend with highs & lows of 70s/40s or a better setting tooling around Aspen. We hit the foliage at the perfect time with the aspens right in the thick of changing to their golden hue. 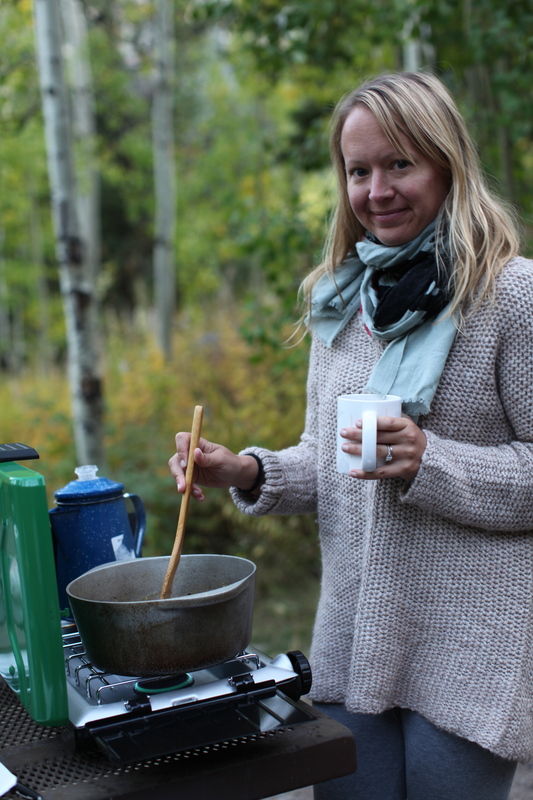 We easily found a campsite at Weller campground right outside Aspen. It was the last weekend of the year to camp there. We were joking that it was the cheapest weekend we could ever hope to spend in Aspen at $17/night. We had a perfect setup with a 4 person tent & even opted to bring a futon which made it pretty darn comfortable. I know, it’s pushing it to call that camping, but I wasn’t complaining. Overall, I’d say I was most prepared when it came to food. Green chili for dinner one night, bratwurst with peppers another along with a spinach & tomato salad. Cheese grits, sausage & bacon made a hearty breakfast. It makes all the difference in the world to be able to have a cup of good, hot coffee in the morning. 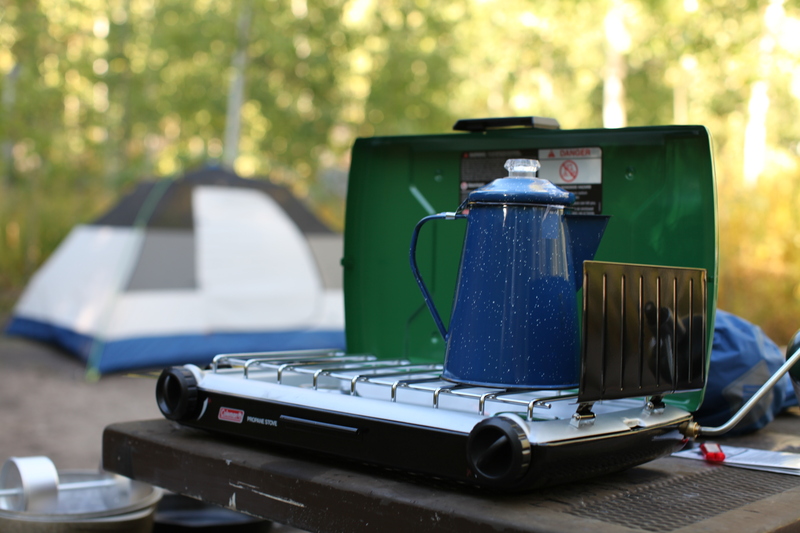 We ended up buying a $60 Coleman stove and it is worth every penny. There were a few things I forgot in my preparations, matches being the biggest fail. Luckily my husband is a former smoker who still seems to have lighters trailing him here and there so we had a lighter in the car. The other items I forgot were not so important. Silly details. 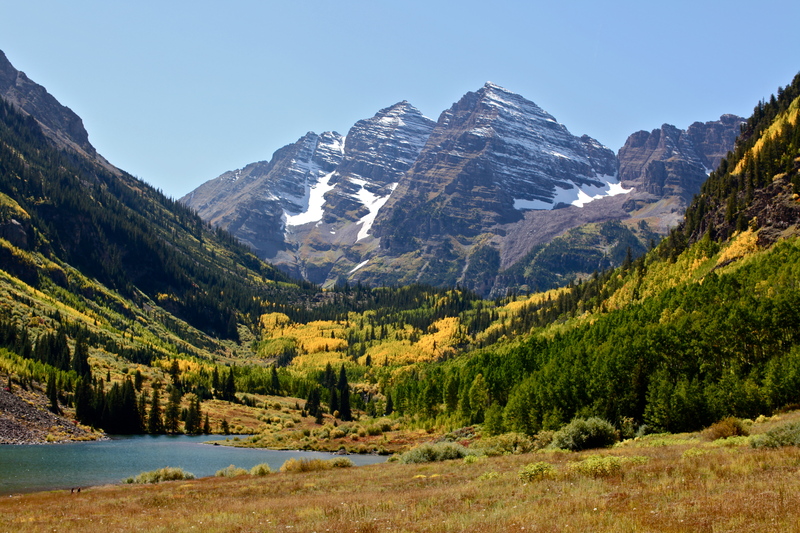 The highlight of the trip hands down was visiting Maroon Bells. We got duped into taking the bus when we first got there on Friday. It’s only $6/person, but it does add a bit of time waiting around. If it isn’t too crowded you can drive. 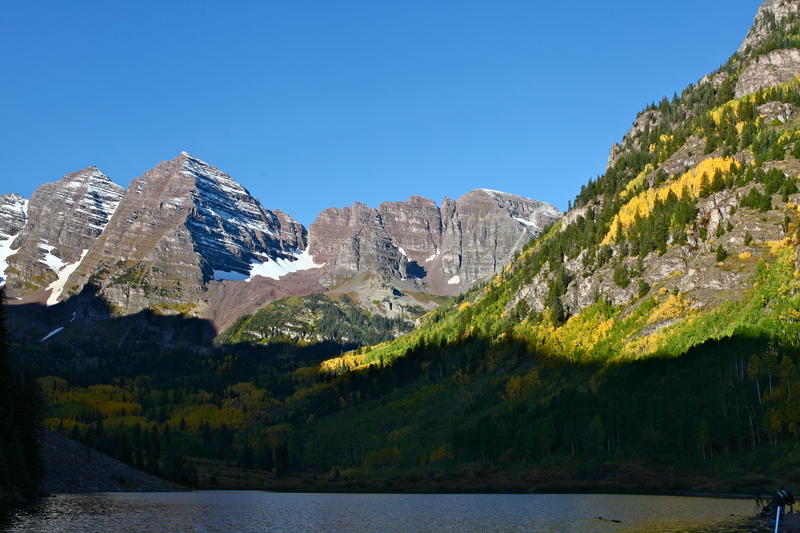 None of the pictures I had seen of Maroon Bells really prepared me for how beautiful a place it is in person, especially this time of year. It was majestic. We decided to head back on Sunday and catch the sunrise there before heading back home. As we walked up to Maroon Lake it was kind of unbelievable how many photographers there were waiting for the sun to hit the perfect light. I think this weekend of camping will be a hard one to top. I’m not sure I’m ready to venture out into the wilderness just yet. Car camping is good for me for now. As annoying as many of the people around you can be, it’s still nice to know they’re around. Maybe next year I’ll venture further out. You are currently reading Almost prepared at 52 To Do.